We love making Pork Carnitas in the slow cooker. A fun twist on traditional carnitas that cooks all day long. 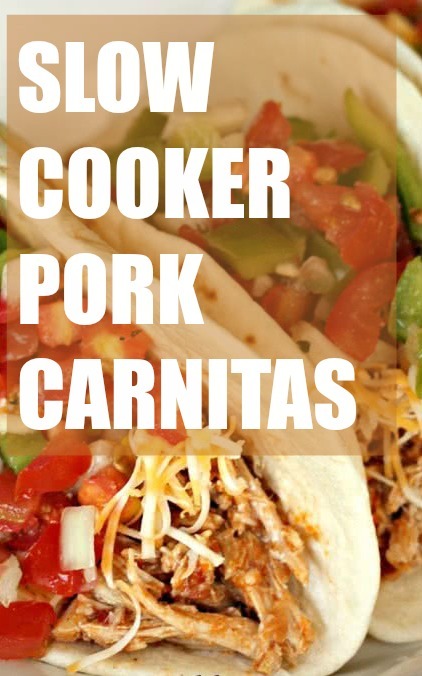 This Pork carnitas recipe is perfect for tacos, burritos, enchiladas, or on top of salads. Before we get to the recipe we figured we better answer the question we were asked so many times after posting this recipe, and honestly one that we asked before we made it too. What are Carnitas? And why is it any different than regular cooked meat? After a little research, I found that carnitas are a Mexican specialty of seasoned pulled pork, traditionally fried in lard, with a mixture of juicy and crispy browned parts. Carnitas are great in sandwiches, or as a filling for tamales. This recipe for pork carnitas is definitely not fried in lard, but slow cooked to perfection with delicious spices and then broiled for that perfect crispy texture on the edges. So although these may not be traditional carnitas, it’s definitely a healthier and tastier version. I used to hate cooking anything in my slow cooker because I felt like it always came out dry and flavorless.For some reason, everything I cooked in my slow cooker tasted exactly the same. If you’re looking for a good slow cooker, we’d highly recommend this programmable one! This can be one of the most important factors in getting good results from your slow cooker. Fatty and tougher meats tend to do best (chuck roasts, pork shoulders, and short ribs). Leaner meats will dry out quicker in your slow cooker. When cooking chicken, we’d recommend substituting the darker parts of the chicken like thighs and drumsticks for the breasts. These will be much juicier. This is something to always remember when cooking in your slow cooker. You want to keep the temperature on low, if possible, and let it cook all day. Try and avoid the “high” setting as much as possible when cooking with meat. Another very important rule when cooking meat in the slow cooker is making sure you have enough liquid. If you don’t have any liquid with your meat, it won’t have anything to make it moist. If you’re cooking chicken breasts, a great liquid to throw in is some chicken broth. It’s a much tastier alternative to water. Beef broth works great with beef as well. This is much easier said than done! It’s important to fight the urge to lift the lid to check on your recipe or give it a stir. In most cases, stirring halfway through is not necessary, unless otherwise noted in the recipe directions. Remember every time you do open your lid, it will add about 15 extra minutes of cook time. This meat also works great in burritos, enchiladas, or even on top of your favorite salad. It makes great leftovers too! Looking for a good side to serve with your Pork Carnitas? Here are a few of our favorites! Place roast in slow cooker sprayed with nonstick cooking spray. Combine remaining ingredients in a bowl and pour over the roast. Cook on LOW for 8-10 hours or HIGH for 5-6 hours (I would recommend the low setting). Remove roast from slow cooker when finished cooking and shred using two forks (it should fall apart pretty easily). Cover a large baking sheet (15x10x1") with foil and spread the shredded meat on top of it. Pour some of the liquid from the slow cooker over the meat (I used about 1 1/2 cups - use as much or as little as you like). Broil meat for about 5 minutes, until it starts to caramelize around the edges (I flipped my meat once during this time). Would you rather use an Instant Pot than a slow cooker? Here’s how to make Instant Pot Carnitas! Here is another http://www.closetcooking.com/2013/05/crispy-carnitas.html. This one is really delicious. Lard is sold in most groceries stores and is actually better for you than most things people use for frying these days. I can't wait to make this! Red enchilada sauce or green? Does it matter? THANKS! Either one works great! I personally love red, but green would be super good too! Made this last night and it was wonderful! Made this tonight for dinner and it was a hit! Don't skip the step of broiling the meat to get some crispy parts. Totally worth the extra few minutes. Great recipe! Do I have to cook it before I freeze it? Or can I just throw it all in a Ziplock and freeze it til I'm ready to cook it? I would cook it all and then freeze it. Just thaw and reheat and you are ready to go. Made it tonight. It was so easy. Won't know till tomorrow how I like it, but I'm sure I will. Made it and soooo good. Husband and young kids approved! Made with pork and chicken, both delicious. Entering my normal meal rotation! Yummo! Hi Denise, Just click on the MAGIC button under the picture and then on Nutrition. It will give you the servings, nutritional value and weight watcher points on the recipe. It's our sister site - MyRecipeMagic.com. We have over 23,000 recipes on My Recipe Magic. 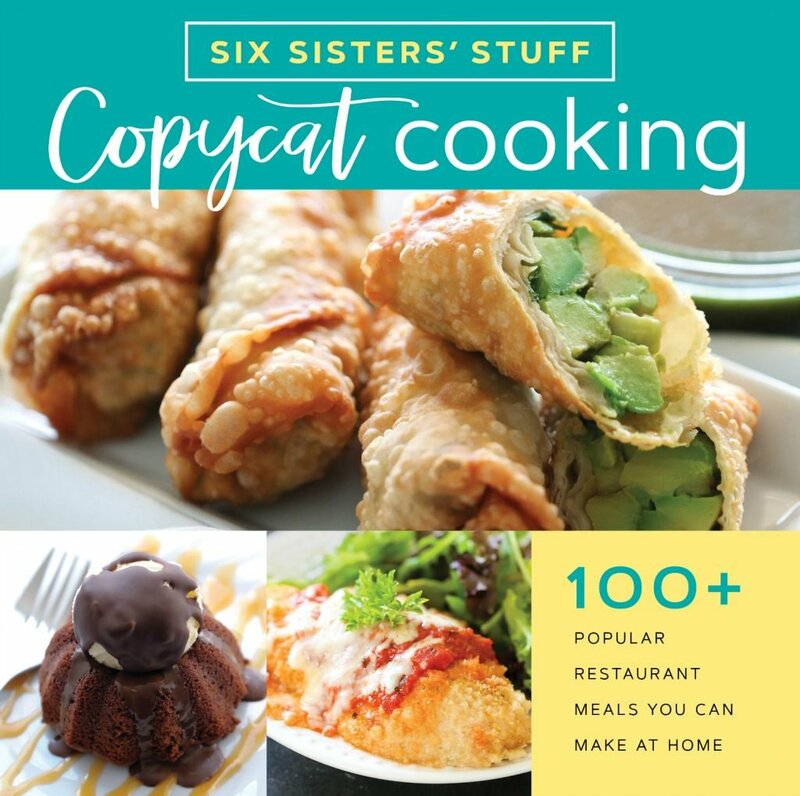 It's a great place to look for ANY recipe. could i cook this in the oven instead of the slow cooker? will it turn out the same? We have only made it in the slow cooker. I'm sure it would work in the oven. We can't tell you for how long and on what temperature. You may have to play with it a little to get it just right in the oven.